Are energy drinks bad for you? Considering they offer no health benefits—and a long list of dangers—the answer is a resounding "yes." Are energy drinks bad for you? A growing number of studies are finding that products like Monster, Red Bull, and 5-Hour Energy offer a variety of health dangers with no unique benefits. Large quantities of caffeine can cause elevated blood pressure and heart rate, vomiting, seizures, and death. [1,2] Caffeine overconsumption can also lead to severe dehydration by causing the body to eliminate water, salt, and nutrients. A 14-year-old boy with no medical history was taken to a doctor after drinking Red Bull before running a race. His heart rate was 130 beats per minute, double that of a normal resting heart rate. Further tests showed atrial fibrillation and fluttering. In a later examination—after he had stopped using energy drinks—the boy’s heart patterns returned to normal. A man’s heart stopped during a motocross event as a result of drinking eight cans of Red Bull. A student experienced heart palpitations after mixing Red Bull with alcohol. Energy drinks can have pH values as low as 1.5, which is stronger than sulfuric acid and nearly as strong as battery acid. In one laboratory study, the acidity of Red Bull caused deeper tooth erosion than Coke, 100% apple juice, Diet Coke, and Gatorade, and an additional study found that energy drinks erode teeth twice as much as sports drinks. Acid intake is also potentially harmful to bone, muscle, and brain health. More than 25 studies have established that the body moves calcium away from cells and into the bloodstream to compensate for excess acidity. Although it is difficult to associate this with a specific disease such as osteoporosis, the cells that rely the most on calcium exist in the skeletal, muscular, and nervous systems. Energy drinks are often marketed and sold in stores under the same category as sports drinks, but studies indicate that they do not enhance or promote athletic ability. Furthermore, energy drinks contain far more carbohydrates than are recommended for active people, which can cause gastrointestinal distress by restricting the movement of fluid into the bloodstream. Research shows that caffeine offers some mental benefits— such as better focus and sustained attention, faster reaction speed, and enhanced memory. But you don’t need to use energy drinks to obtain these benefits. One study suggests that three to four cups of coffee per day can provide caffeine benefits as well as the antioxidant and anticancer benefits of coffee. But it’s important to remember that your body’s source of energy is food, not caffeine. 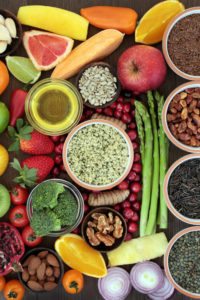 Jami Cooley’s blog on 8 Energy Boosting Foods to Keep You Alert provides a great list of foods such as green tea and wheatgrass that provide long sustaining and healthy energy reserves. Another way to improve your energy level is by using vitamin and mineral supplements. Check here to learn how vitamins and minerals will trigger your body to produce more ATP. If you continue using energy drinks, keep in mind that you’re doing so for their taste and not for any type of specific health benefit. Most manufacturers recommend that you consume them slowly and that you do not use more than two in a 24-hour period. Is Monster bad for you, and are other energy drinks bad for you? Do you experience unpleasant side effects after drinking Monster or 5-Hour Energy? Do you know other, safer ways of finding quick energy? Share your experience in the Comments section below. Am Pharm Assoc (2003). 2008 May-Jun;48(3):e55-63; quiz e64-7. Mayo Clin Proc. Nov 2010; 85(11): 1033–1041. Amino Acids. 2006 Jul;31(1):81-3. Epub 2006 Jun 1. JAMA. Jan 25, 2011; 305(6): 600–601. Journal of Medical Case Reports 2011, 5:1. Eur Arch Paediatr Dent. 2010 Oct;11(5):253-5. Am J Clin Nutr. 2008 Oct;88(4):1159-66. Strength Cond Res. 2009 Jul;23(4):1271-5. J Strength Cond Res. 2013 Aug;27(8):2248-54. Drug Alcohol Depend. Author manuscript; available in PMC Jan 1, 2010.
alcohol, amino acids, anticancer, antioxidant, are energy drinks bad, are energy drinks bad for you, atrial fibrillation, blood pressure, bone, boost energy, brain, brain health, caffeine, caffeine addiction, calcium, coffee, dangers, dangers of energy drinks, dehydration, diet, drinking monster, elevated blood pressure, energy boosting, energy boosting foods, energy drinks, energy drinks bad, food, gastrointestinal, green tea, headaches, health, high blood pressure, insomnia 2, memory, monster drink, monster energy drink, monster ingredients, muscle, nutrients, osteoporosis, red bull, side effects, strength, sugar, supplements, vitamin, vitamins, vitamins and minerals, wheatgrass, why are energy drinks bad for you. That bit about pH is very unscientific. pH is a measure of hydrogen ion concentration NOT strength. The pH of sulphuric acid or any water soluble acid will change depending on the amount of water it is dissolved in. Nothing wrong with an exercising 14 year old with a heart rate of 130bpm at all. Energy drinks are fine as long as you don’t chug 8 in one go like a numpty fluck. This is all dumb. I’ve drank 8 monsters in the past week, and no affect. Im 19 and im a bricklayer/builder, i drink 3-5 cans of monster a day and usually i also have coffee if the costumer offers. If i dont have atleast one monster i feel tired and just slow, i dont know if its mind over matter but i genuinely think they do wake up and give you the little kick up the backside to get you working. I do plan on cutting down and i know its bad for your health but genuinely i think they do have there benefits. I merely such as the very helpful information and facts a person supply for a reports. I am going to take a note of your blog and also examine again here regularly. We are a bit i might be advised quite a few brand new goods right here! Best of luck for one more! I drink 6 to 8 monster assault 16 oz a day and coffee… I work 12 hours a day and commute 1.5 hours each day… I have tried to stop but cannot. If I stop I get killer headaches and no energy at all… Heart is good, and sleep great Asleep in five minutes or less. My legs are killing me after drinking Monster coffee drinks. I had every one of those symptoms every time I had a redbull . teeth hurt when drinking 2 sugar free monsters a day and a candy bar. Not a first but after the whole summer of doing this I am sorry I didn’t realize the dangers sooner. This article is stupid. 170mg of caffeine is 7 times more than in an ounce of coffee? A monster has 140 MG of caffeine. It’s 16 ounces. That means that coffee has proportionally more caffeine! And then you encourage alternatives like coffee and green tea, two drinks known for they’re caffeine content! But you say green tea has no caffeine?…..
Be taken in moderation. But I think Monster is better than a cup of coffee. Battery acid is watered down Sulphuric acid. Approximately 36% sulphuric acid is the concentration of battery acid (I used to make the stuff). As for the comment by Brian P, maybe he should read a little closer to see that the article said 4 times not 7 times more. For the people who say they drink 4-24 cans a day, I say wait 20 years and you will see the side effects of subjecting yourself to such crap. Altogether energy drinks are EXTREMELY bad for you. I just had my first Monster drink about 15 minutes ago and although I feel happier and more energetic, my teeth have that “acidic” feel, which is wayyy worse than anything else I have drank, even Coke. I drank the energy drink just to try it and I think I’ll just stick to coffee for my caffeine needs. I’ve had enough damage to my teeth from over brushing and a soda addiction, I do not need more. I drink 80 to 100 monsters a day feel great! I say bull crap to the 80 to 100 monster a day thing, but 8 cans a day man you need to quit. 80-100 Monsters a day?! Given that they retail in the UK at just over £1 each that means you are spending between £95 and £119 a day on drinks, over £700 a week. If you think we are going to believe that then you’re living on … Planet Monster, hahaha. Laughable and pathetic comment. In 2004, I drank 2 Monster drinks with hopes that it would give me the much needed energy I needed with a move to a new home, Crohn’s disease and 2 toddlers! I WAS EXHAUSTED! Well…later that day, I rushed to the E.R. for fear of heart attack symptoms! E.R. doc told me this was a VERY common reaction they see OFTEN! Later, I learned through LOTS of research…several years and experimenting with my body…I have found FOOD AND THE RIGHT foods ARE ALL WE REALLY NEED for sustained energy! ACV tonics, probiotics, enzymes, raw local honey…KEEPING THE BODY ALKALINE is A MUST! Since that AWFULLY SCARY experience, I NEVER EVER touched another energy drink and never will! I’m over 72 years of age and drink two cans of Red Bull mixed with Jack Daniels every day and I can tell you that I feel great. I don’t care what you think u r talking about but Red Button has improved my mobility. I don’t think that I will ever stop drinking Red Button until I die. SO FOR all u haters out there let me tell u something energy drinks don’t cause health issues. Tuarine increases the rate and strength at which the heart contracts. Being a key ingredient in most energy drinks, this is most likely the reason for all heart-abnormality reports. However, that doesn’t necessarily make it “bad”. Everything is bad in excess. For instance, too much sunlight can destroy reaction centres in plants, despite them needing sunlight for photosynthesis. As such, taurine can, essentially increase the efficiency of the heart, overall, but too much can cause the heart to overwork itself. Monster is full of vitamin B6 and B12–200% the of the “necessary” amount in every can, in fact–which is great for helping your body pull energy from foods and use it. However, B6 in excess can cause nerve damage. Additionally, saying that energy drinks don’t improve athletic performance rubbish. No, they don’t help you lift more or run longer, but a harder working heart means more blood pumping means better cardio, and more vitamin b means more energy from food means more energy to expend. Does this mean that chugging an energy drink is going to allow me to jump 10 feet into the air? no. It just means that I’ll feel a little less exhausted after I jump 1.5 feet into the air. Really, sports drinks don’t improve athletic performance much either. They do give electrolytes, which are essential to hydration and athletic performance, and carbohydrates, which provide energy, but just downing a sports drink won’t help me lift more or run longer. However, I’m certain that the author of this article doesn’t consider sports drinks to be “bad”. Quite simply, on paper, nothing about energy drinks are negative unless used by someone with certain medical concerns. Problems merely arise when they are taken too much or too quickly. It’s not hard people; don’t drink ten a day, and don’t drink one in two minutes. If everyone followed this, we wouldn’t have all of these huge fears of energy drinks killing people. A gun won’t kill you if you don’t aim it at yourself and pull the trigger. I drink between 3-5 sugar free Monsters a day. I can go right to sleep. They do not stimulate me at all. Lol. They still talk about sugar, when Monster has a bunch of Sugar-free versions. You’d be wise to listen to me, a 36 year old whose drank these things ever since they came out. They are terrible for your health. They are designed to be a legal drug. They are so over-packed with crap in amounts that your body was never meant to process. But I don’t expect youth to take an older, wiser persons word for anything. I expect youth to do exactly as I did: Ignore what you’ve been told, and figure it out the hard way. I drink the Zero monster in white can. Very little natural caffeine, no carbs and no sugar or sucrose. I know someone who can’t drink one cup of caffeinated coffee which will keep her awake even after all day into the night. She drinks the Monster Zero in the white can just before bed and the tiny bit of caffeine in this particular Monster energy drink will not bother her in the least !!!!!!!!!!!! I use it to kill my apatite and in between meals . I have lost 12 lbs in two months . It doesn’t seem to give me a big energy boost before work outs but it does help some . The best energy drink for me I have found !!!!!! What everyone doesn’t seem to understand is that every one is different. What may ben unhealthy or bad for one may be just what the doctor ordered for another person. Try to know your needs and don’t make statements in general that just pertains to your own experience which many not pertain to someone else. Thank you !!!!!!!!!!!!! The beginning part about Monster having 505 mg in it is total bull. An ENTIRE can has up to 180 mg, but can also be as low as 140 mg, so this website should not be treated as a reliable resource. I’ve consumed 1 monster low carb energy drink everyday for about the last 5 years. I’m 75 and I don’t see any ill effects. I use monster occassionally at work as an hgv night driver simetimes if I am tired I am sure it helps me to concentrate and focus on the road but as with all things I believe its okay in moderation. I have been drinking one zero sugar monster drink a day for about a year now. I had a check up today. I am 61 weigh 145 at 5′ 6. My blood pressure is 98/60. My heart rate was excellent says the doc. I like them better than soft drinks and the fact they have B vitamins. Try MATI- a truly healthy energy drink. All caffeine is naturally sourced from guayusa which naturally contains theobromine to combat jitteriness and improve focus. Furthermore, there’s no added sugar or any artificial sweeteners- it only uses fruit juice which naturally adds vitamins and potassium. MATI is lightly carbonated and contains just as much caffeine as a RedBull but is much better for you! I used to drink one monster a month maybe. then two, three, four. It turned into one every week. two, three. until it was one a day. it started losing effect. so of course, two a day, three, four. i got to five a day, a big one, and a nos. eventually i started snorting it to get the effects more. That seven energy drinks a day. not to mention the nos and big monster are around 24 ounces each. sometimes it’d be 54 ounces of kickstart alon with that. Doing this destroyed me. i called it my happy juice. Eventually i had started collecting cans. i got to sixty four cans of energy. all together, let’s assume they are each a small monster. a monster is 198 at walmar with tax. multiply this by 64. thats almost 127 dollars. now assume a quarter of those were the big ones. those are three dollars each. thats alot of money spent on fake happiness. and thats about a third of what i had actually drank. my mom made me stop because i was addicted. I said, no im not i can stop when i want. when i had to stop, i didnt sleep for about a week. then all i did was sleep and sleep. in the last few days, after being a few months clean. ive drank a red bull, about 80 ounces of kickstart and about 20 ounces of monster. Back at it, and hating myself for it. i’m 62 years old and drink 2 zero monsters a day one in the morning and the other one near bed time or when I wake up at 1 or 2 in the morning and drink a half can and can right back to sleep with no problems. I drink monsters for the taste. It mentions 5 Hour Energy, but doesn’t talk about them. 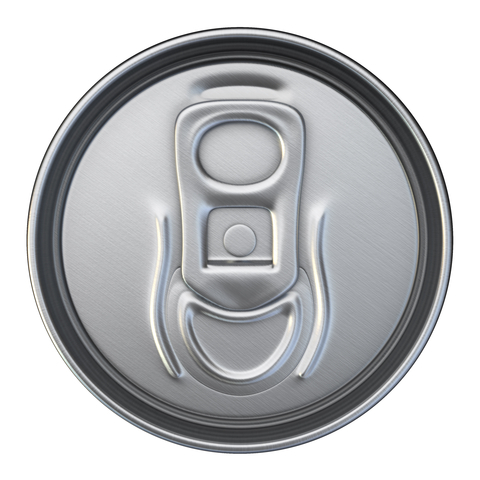 The high sugar, carbs, and acidity comes from the aluminum cans they sell it. 5 Hour Energy shots have zero sugar and only 5 calories. Please unsubscribe me from this site. I have before me a 16 ounce “lo-carb” Monster drink. The label states that total caffeine per can is 140mg. or 70mg per 6 ounce serving. So-where are they getting the 505mg per serving as stated in the article? When I and my friend took energy drink, we suffered from stomach pains and had a running stomach. Thanx for the information. I have have been drinking monster when I was in fourth grade and now I and 14, I have been told to moderate myself with them. I had to go see a doctor after drinking 3 16ounce monsters, but that was a stupid choice. “The ingredients in a Red Bull or Monster energy drink can contain as much as 505 mg of caffeine per serving”. THIS IS A BUNCH OF BS. Name one monster energy drink or red bull that states this is true. Most monsters have 160MG of caffeine in a 16oz drink. and Red Bull 12oz has 111-114Mg. So, looking at the examples early on in the article about the mans heart stopping and the child mixing red bull with alcohol, it seems that large quantities of these drinks can be harmful, but if used properly (maybe one can a week, I prefer monster because of the flavor variety, but pick your poison) It seems most of these drinks don’t have a severe negative effect on the subject. I don’t experience things like rapid heart rate and high blood pressure personally, but I tend to pin that on a high metabolism. It seems the effects of these drinks is case sensitive. But that’s just my opinion. Well im trynna figure out that if monsters are good for you and i just love the comments. It really depends on individuals health stand. Some are not or meant to drink them due to weak health reasons. Some suit fine so it varies from person to person. I’m 54 and drink 18 oz with sticker on top. They taste better than 16 oz. Very smooth and tasty. Only one per day. I had a monster ultra zero callory and I can’t explain how jittery it have made me. And also my heart beat is really fast I am just not in a normal state rite. Thats all I can say. Just glad I do not consume energy drinks, knowing how bad they are for you. Energy Drinks are just as bad for you as nicotine from a cigarette is. Both are addictive and difficult to give up. It is similar to someone starting on a gluten-free diet and wonders why they are putting on weight. Unless you have Coeliac / Celiac Disease, you should not start a gluten-free diet. It is full of sugar and higher levels of salt. Yes, the body needs fuel but in moderation it alright in the correct proportions. Some facts polluted with extreme POSSIBILITIES – which are typically read as definitive. So, you’ll notice that you MAY experience rapid heartbeat, 1 person died after drinking EIGHT cans…ok what about the rest of us? Why say anything about BATTERY ACID other than to sensationalize the point? So, it’s acidic and causes more tooth erosion than other things. The base useful information is that energy drinks may cause excessive tooth erosion. MAYBE some people have teeth that are more susceptible to tooth erosion and therefore should be more concerned than others. Nah, you come away from this paragraph thinking you’re drinking Battery Acid. That was a bad start to a section that could have had good information – but it’s lost now due to exaggeration and the lack of true, objective (not biased) tests, results and interpretation. Then, the comments. Well I’d expect some excitement there given the compilation of the article. Again, the fault of the article. You guessed it – extreme comments mostly of little or no use. Been drinking 5pints of battery acid eating large jar of coffee and a bag of sugar 2 times a day. Then 1 can of monster. Feel fine. Where do I start? I’m 49 years old, finished Paramedic school last year and practically lived off of Monster Zero during nearly 700 hours of clinical time not to mention 16 hours of class as well as long sleepless nights studying AND working full time on the ambulance. One 24 hour shift and one 16 hour shift with 8 hours on call per week. During that time I consumed at least 2 Monsters a day and after graduating have weaned myself down to 4 or 5 a week. Just had a COMPLETE cardio workup including stress test to include dye and scan. Normal sinus rhythm throughout. Sinus tachycardia during the treadmill and no problems. Some people are more prone to cardiac problems with drinks like these and may have a congenital defect that is unknown to them until consuming some type of stimulant. They also need to take into consideration their diet, activity level and other factors such as tobacco use and/or Rx medications. Every person is different. Are they fruits and vegetables? Hell no, but have you ever seen a healthy looking person that eats nothing but fruits and veggies? I have not. Everything in moderation is my mantra. You cannot say there are NO health benefits. For people low on B complex at least this is a high source. Also your caffeine numbers are exaggerated. You do no one favors by being this biased. How good or bad for you, is that can of Redbull or Monster that you pop open every now and then, and drink it because it gives you “the feels”? There are a lot of things which you might not know about energy drinks and the contents that are in them. It is important for everyone to know about them, to know the truth about any myths around them, and stop over intake. So many trolls in this thread………..
Energy drinks are bad, k? Those who deny this fact are simply ignorant. Energy drinks are not healthy. I think that’s understood and known. It’s packed with sugars and all sorts of chemicals that no one can pronounce. At the same time, while this article offers definite healthier alternative tips to increase energy and focus, most of those tips don’t offer the kind of power punching focused energy that energy drinks can do. If they did, then no one would be reaching for that energy drink knowing it’s not good for you. When you’re tired and you need astronomical strength, then nothing else works better than an energy drink. And that’s not saying it’s healthy. Just saying in the end when you really need a kick, the energy drink does the trick. are also packed full of caffeine and sugars and fats. M O D E R A T I O N is the key to healthy living. No you should not drink 8 energy drinks a day. Yes, you should drink 2 equal bottles or cans of water per 1 energy drink. Dehydration can make you feel weak & tired. No. You should not make a habit of drinking tea, coffee, or energy drinks. For best energy, eat healthy organic pesticide free herbicide free fruits & veggies and lean proteins of your choice, and exercise moderately and regularly. Drink clean active carbon filtered water without chemicals, diseases, flourides, or plastics. What kind of University is this anyways..It appears to be a misinformation site designed to protect Big Beverage and smear energy drink manufacturers. Who owns Gatorade..Pepsi-Cola..! Who owns Power Ade..Coca-Cola..! Big Coffee also needs to smear the energy drink competition..! Follow the money.